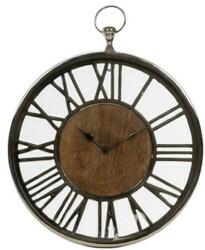 Casa Padrino offers pure luxury clocks in abundance to choose from. Just browse our website for a bit and find just the right luxury watch for your taste. Whether you are looking for a luxury watch for your wrist or a luxury table clock, with us you will find the right piece. You have just become so absorbed in your book that you have completely forgotten the time. A glance at the clock tells you that it is still early in the evening and you can still read the next chapter in a relaxed mood. In such moments, you will appreciate the small table clock, because with the beautiful design of glass and metal, the timepiece fits nicely into the room. It is particularly important to you that the clock looks smart and additionally fulfills its function and occupies little space. As the name suggests, table clocks are mainly on tables, but also on shelves, chests of drawers or the windowsill make the clocks to settle wonderful and help you to keep track of the time. 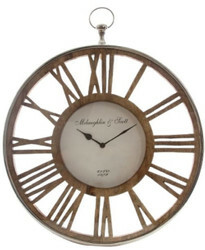 In addition, no accessory is so small and proves as much style as a men's wristwatch. It is much more than a practical source of information about the time. Whether you wear your watch at a sporting event for a casual outfit or a chic occasion with a suit, the wristwatch completes an outfit and underlines your individual look. Professional advice and top service are a matter of course for us at Casa Padrino. Therefore, our employees bring with them a great deal of competence and experience. If you have decided on a suitable product, we take care of a professional shipment of the goods. If you have questions about the product, you can contact us by phone at our customer service. Our friendly will gladly help you. Online shopping is fun!